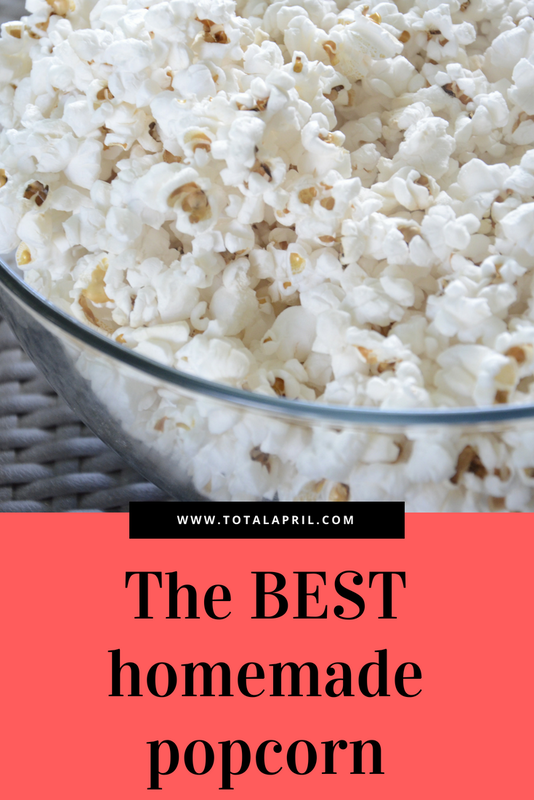 There are countless things that I love, but stovetop popped popcorn is one of those things that I love so much, I crave it and love to experiment with. I love adding spices and different flavors, but I also love how simple just a little butter and salt can be perfect for it too. Stop using microwave popcorn full of weird chemicals and questionable amounts of sodium. When you hear it sizzling, using oven mitts or a towel, grab handles and move pan over flame (or heat element) in continuous circular motions. Note* your popcorn will burn if you do not move the kernals continuously.